The San Jose Blog: Indochino Pop-up Shop coming Downtown! Indochino Pop-up Shop coming Downtown! 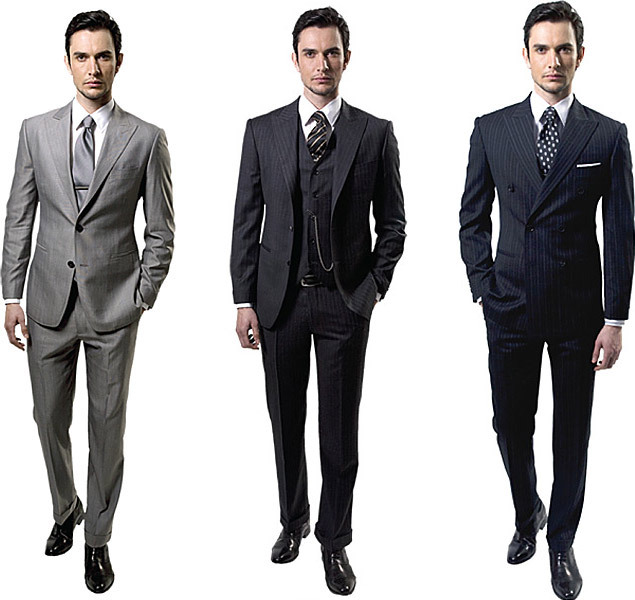 Indochino is an online menswear store that sells suits, tuxedos, and accessories. To show off their latest collection, they are setting up a pop-up shop right in the heart of Downtown (75 East Santa Clara, between 2nd and 3rd Street). There will be a tailor on hand and every suit purchase comes with an Art of Shaving kit in honor of Movember. For more info, check out the press release below. I really hope we see more pop-ups like this in the future. These are exactly what we need to fill up vacant space until we get more MUJI's and San Pedro Square Markets Downtown. Side-note, Ike's Sandwiches is coming soon to this very same building and ISO: Beers will be across the street yet another neighbor inside of 75 East Santa Clara. This block is going to be completely different 6 months from now. VANCOUVER BC- November 6, 2013 - Indochino – the leader in custom online menswear – is coming to San Jose for the first time after a series of successful stores in New York, Chicago and San Francisco. The Traveling Tailor pop-up store lands in the city November 18th at 75 East Santa Clara Street, Suite 150. The temporary retail experience gives men the chance to get custom suits, shirts and outerwear for a fraction of the price of bespoke. Get the deluxe experience with one-on-one personalized shopping – VIP treatment that results in great fitting, stylish clothing that men want to wear every day. Men who book a 30-minute appointment will be guided through the measurement and customization process. Suits start at $449, shirts start at $79 and all customizations are free. In honor of Movember, over the course of San Jose’s Traveling Tailor, men who purchase a suit will be treated to a complimentary Art of Shaving kit. Founded in 2007 in Vancouver, BC, Indochino is leading the retail revolution by providing custom clothing to the modern man who wants to look good and live well. From button stance to pocket slant, lapel width to vent slits--every suit is made to individual measurements and tastes. To learn more about Indochino, visit www.indochino.com. To receive updates on Indochino's latest collections, join us on Facebook at www.facebook.com/indochino or on Twitter and Instagram at: @indochino. Awesome! I hope we can land something like this or Suit Supply permanently. Just a clarification: ISO:Beers is actually in the same building. It's on the other side of the lobby (along Santa Clara), with an attached patio.